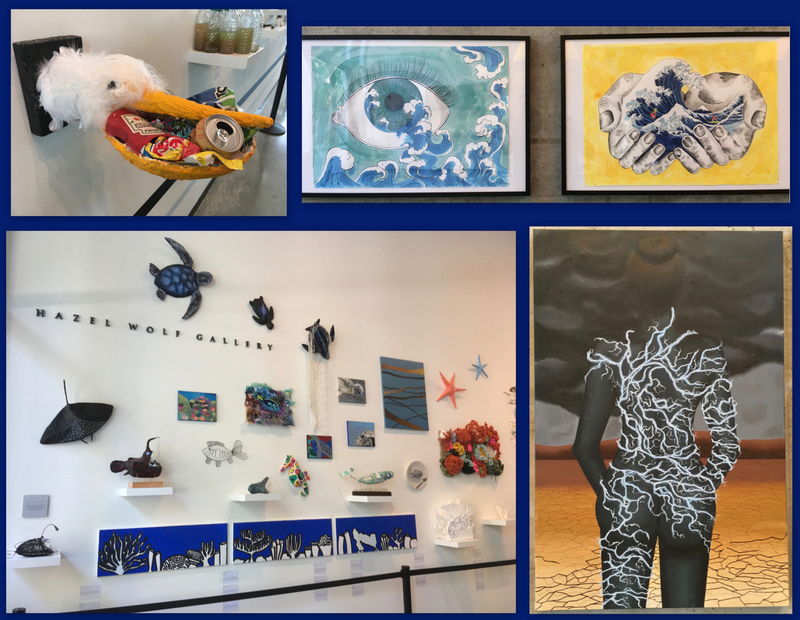 A special exhibition of Berkeley High student art at the David Brower Center in downtown Berkeley “proves that there is hope for influential change,” according to the Center’s large description prominently displayed on the gallery wall. The exhibit, Art/Act: Youth, reflects on the current state and future of our environment, with some works featuring the beauty of nature and others warning about the human impact on the planet. The works were created by students in the intro to creative art or advanced studio art classes, which focus on art as a way to understand complex, interdisciplinary issues. The show’s curator, BHS art teacher Kimberley D’Adamo Green, worked with the Brower Center last year to mount the first Art/Act: Youth exhibition last summer. This summer’s exhibit ends Sept. 14. The David Brower Center is open 9-5 on weekdays and 1-2 on Saturdays. An article about the exhibition appeared in the Daily Californian on June 27: Berkeley High School students sculpt better future through ‘Art/Act: Youth’.